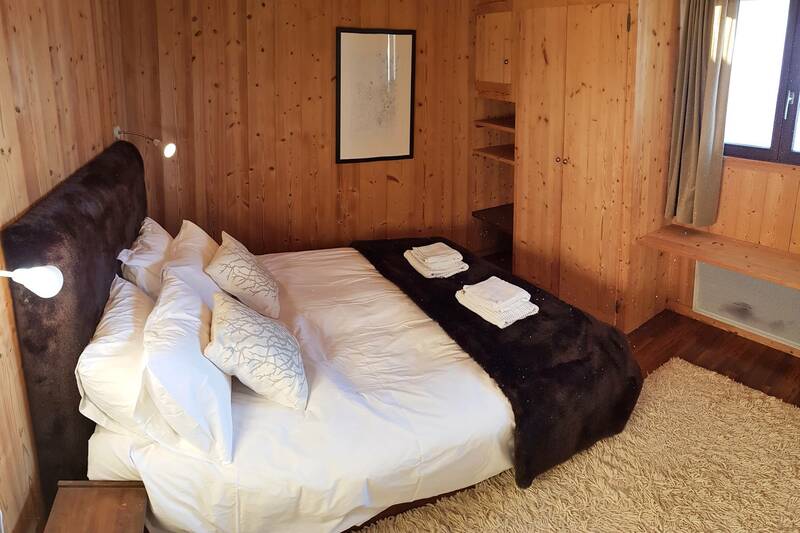 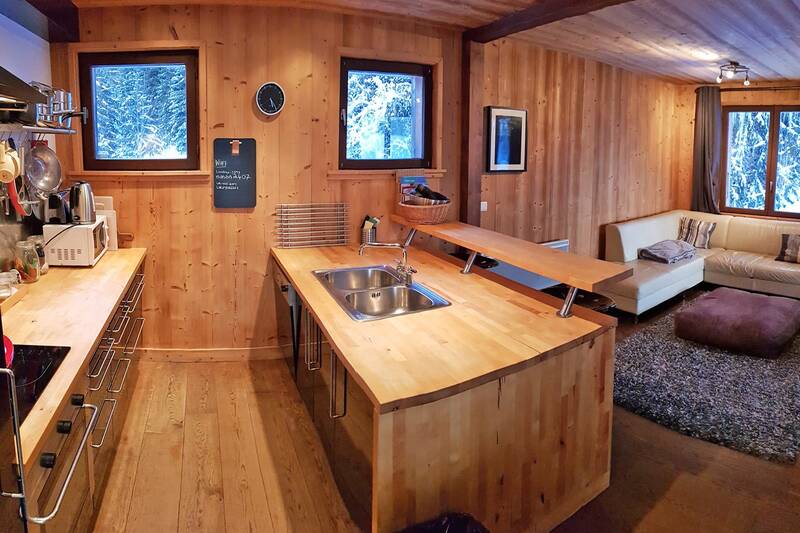 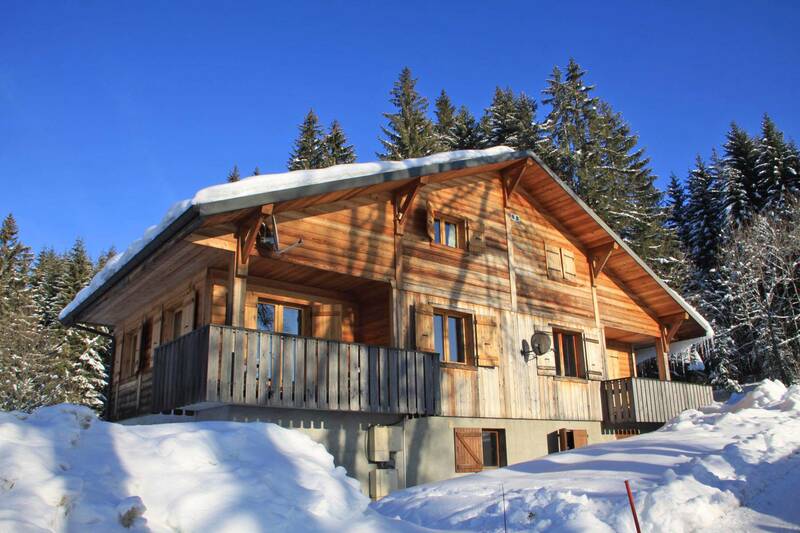 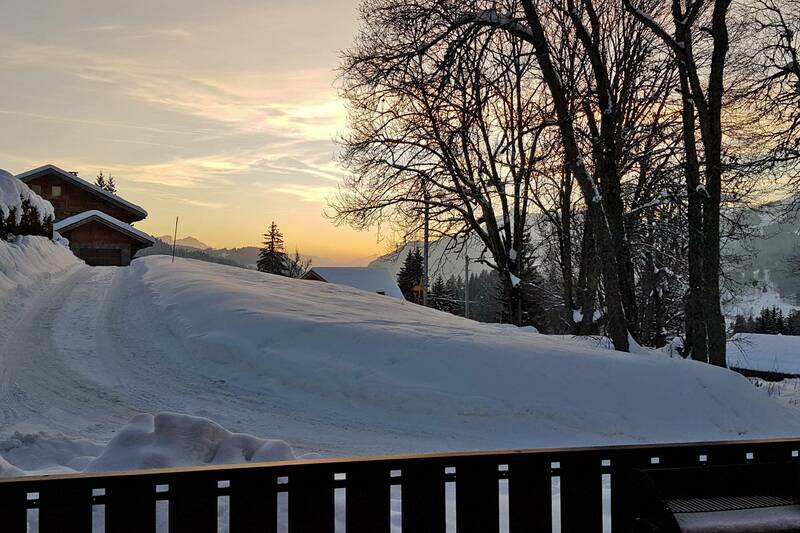 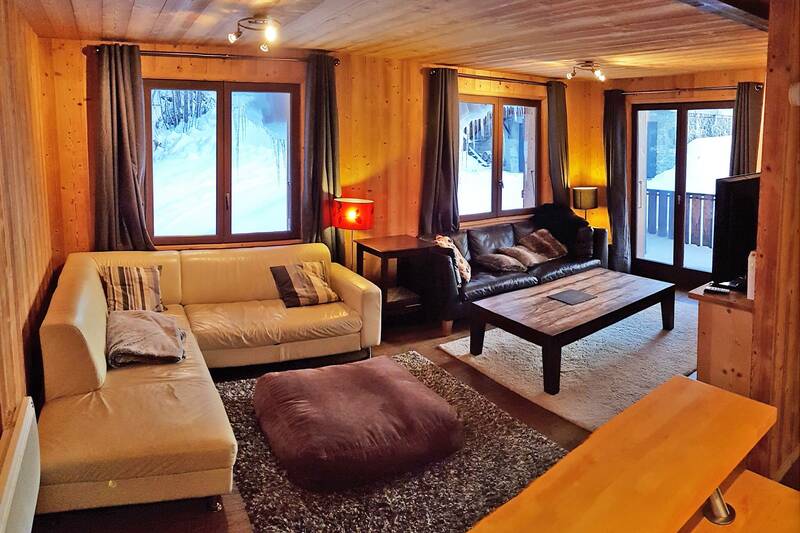 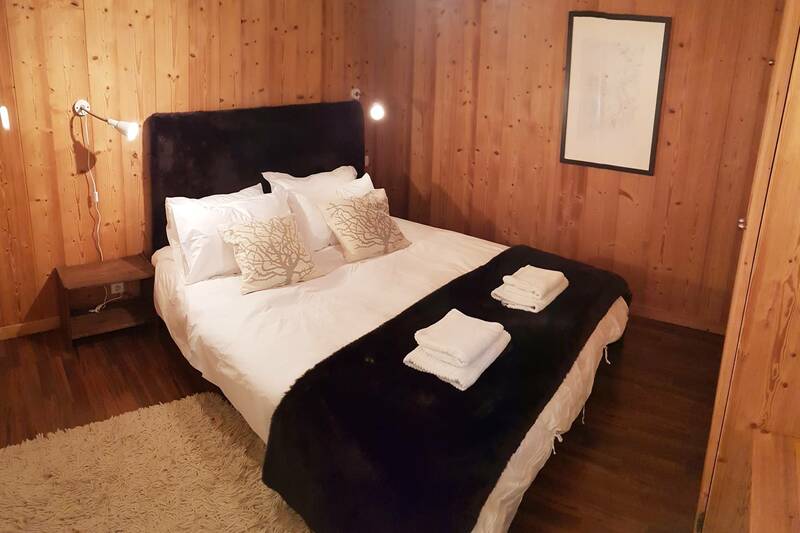 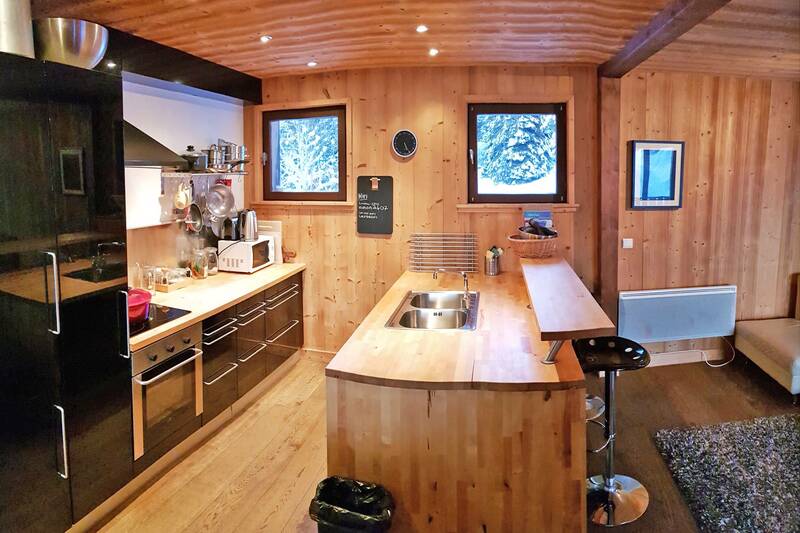 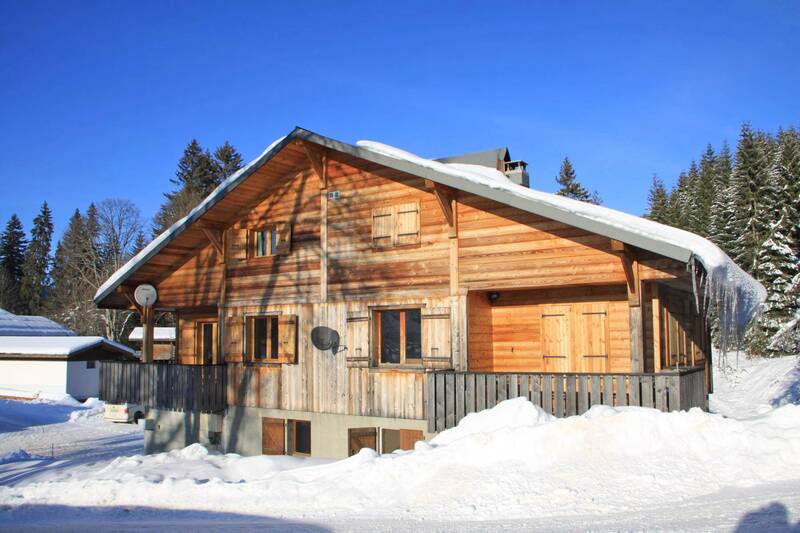 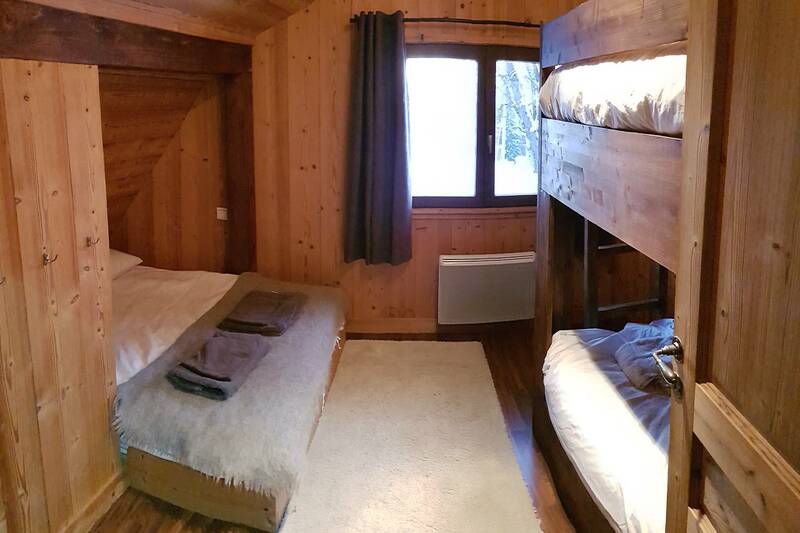 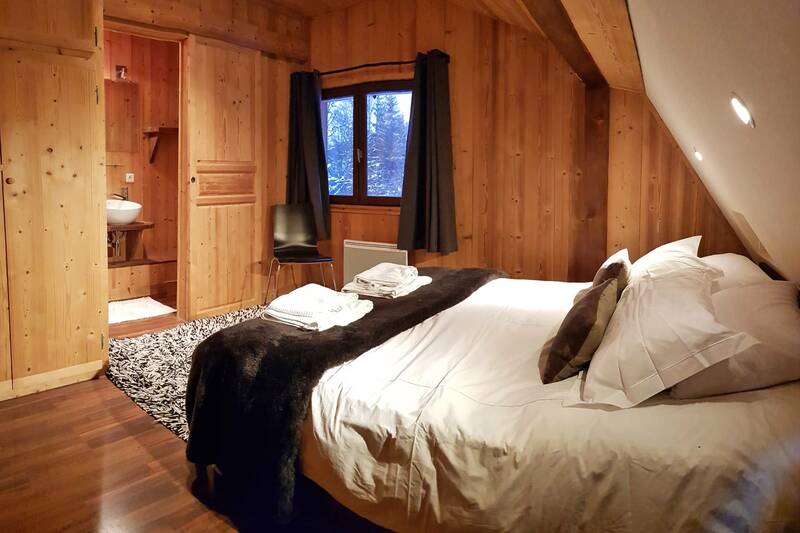 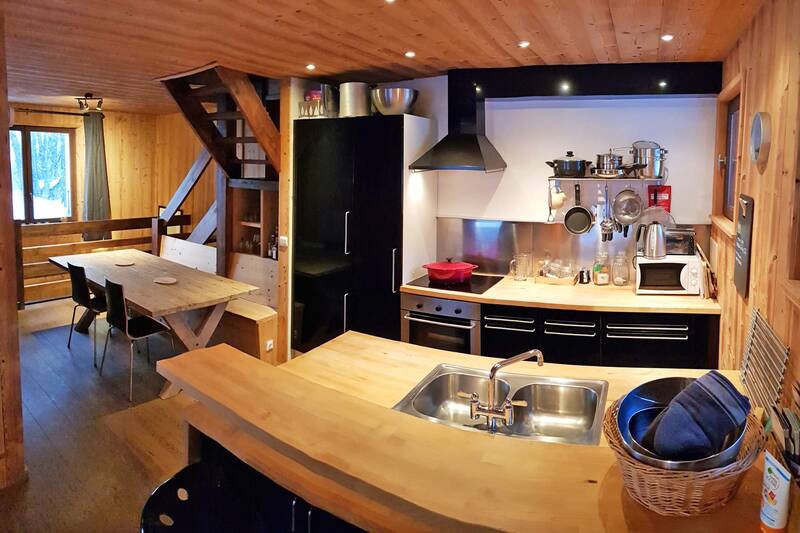 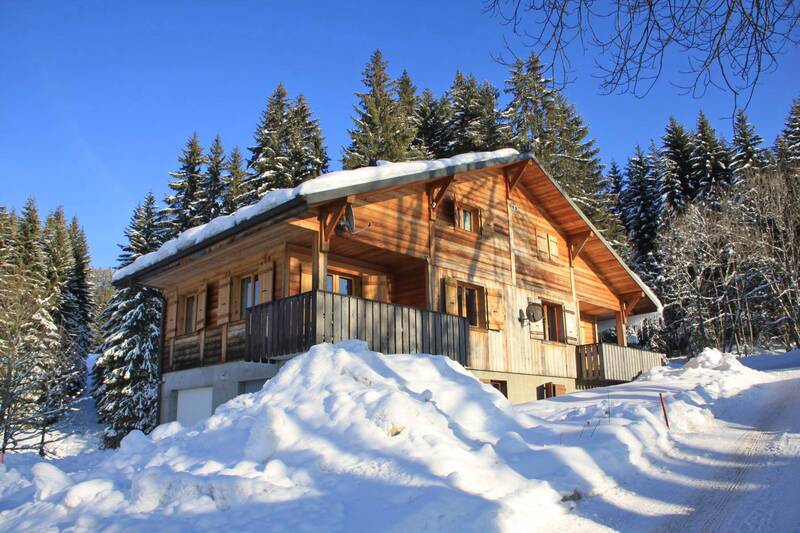 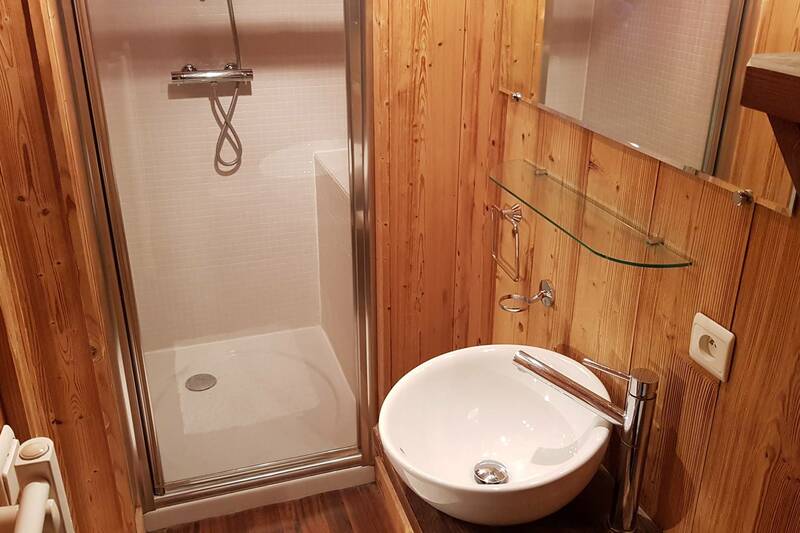 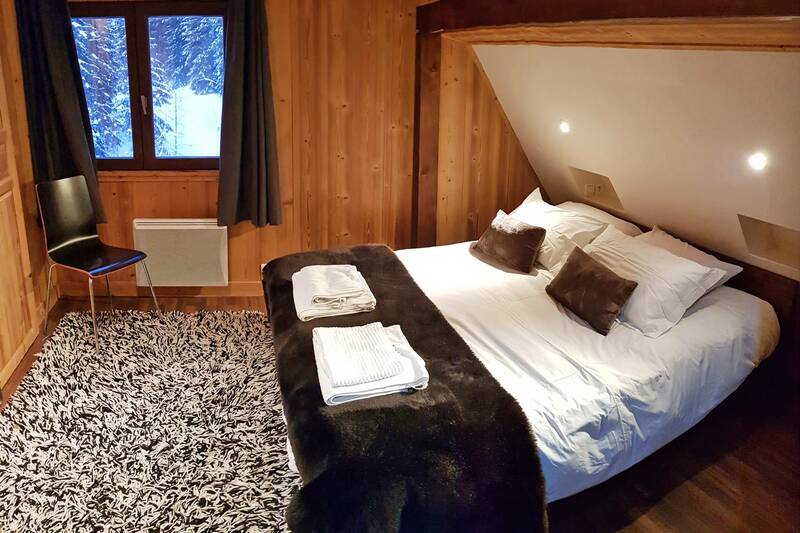 This chalet is located off the Chavannes in Les Gets, and is accessible directly from the pistes. 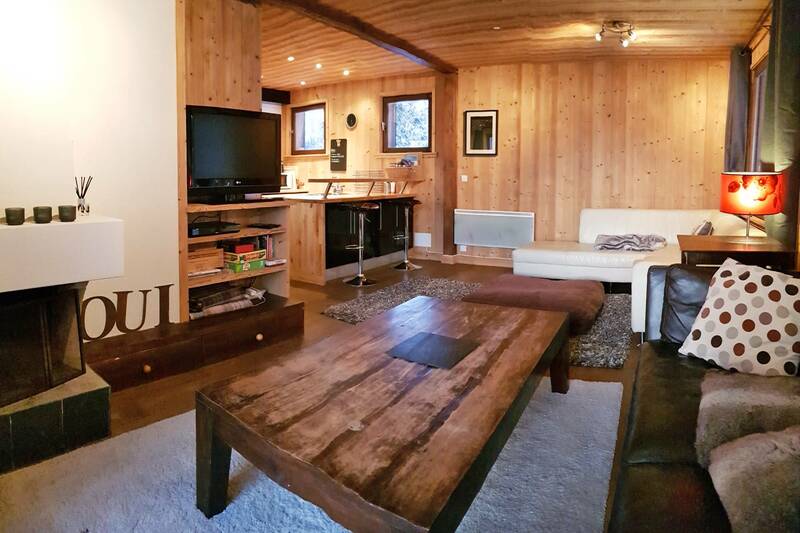 It is semi-detached and in a quiet location at the end of a road. 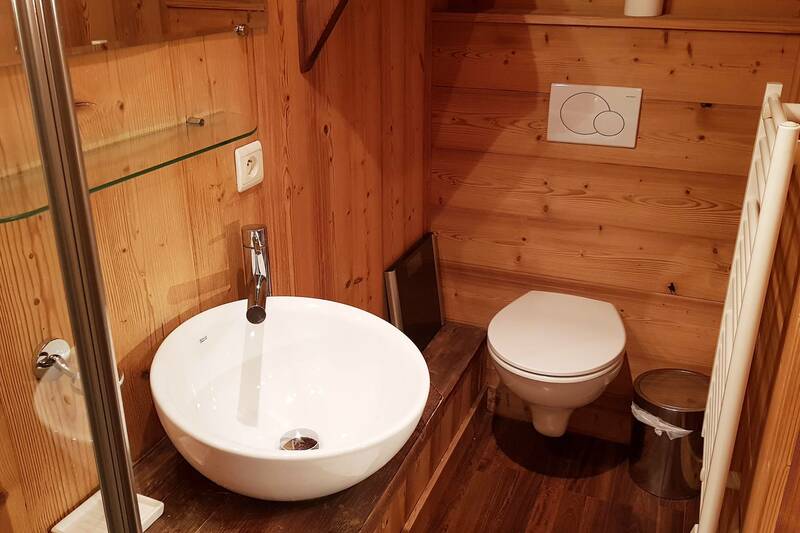 There is parking outside for two cars. 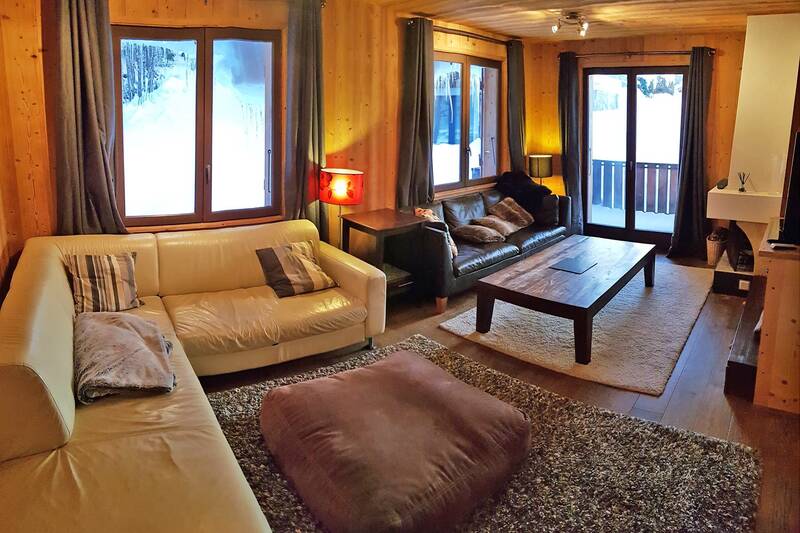 The chalet is on three floors. 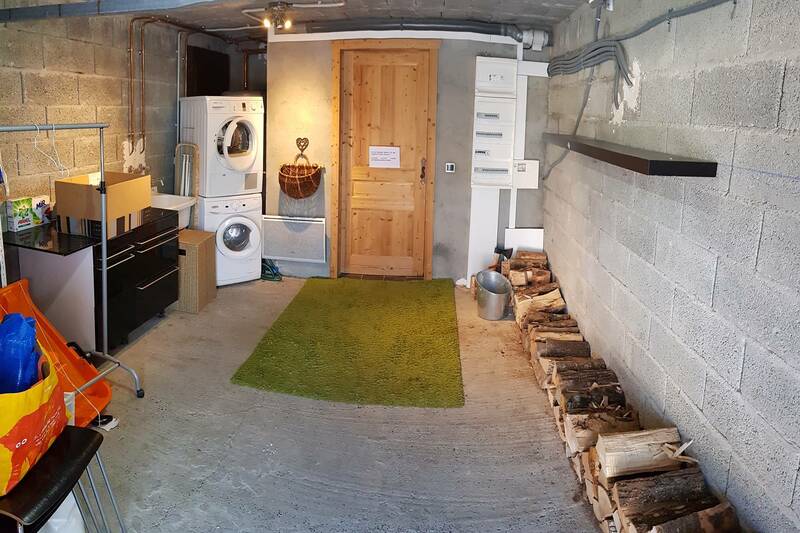 Entrance is through the garage, currently used for ski storage, washing machine and so on. 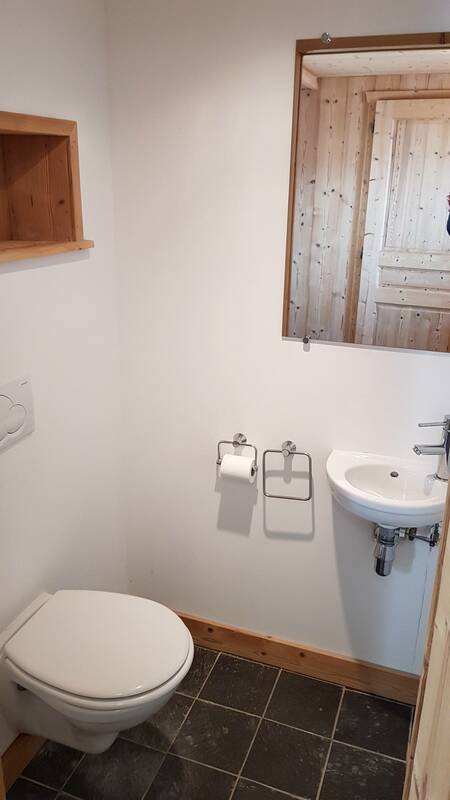 Beyond this there is a WC, and a corridoor leading to a bathroom and bedroom. 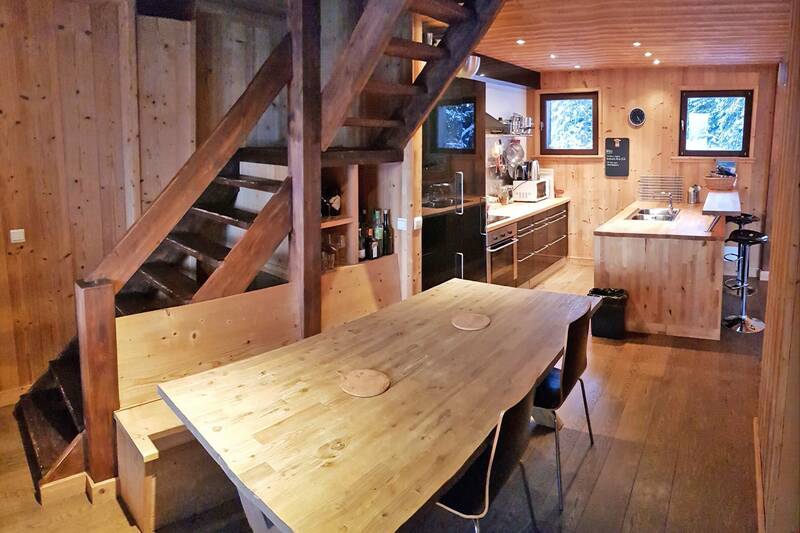 Stairs lead up to the open plan living and dining area with a fitted kitchen. 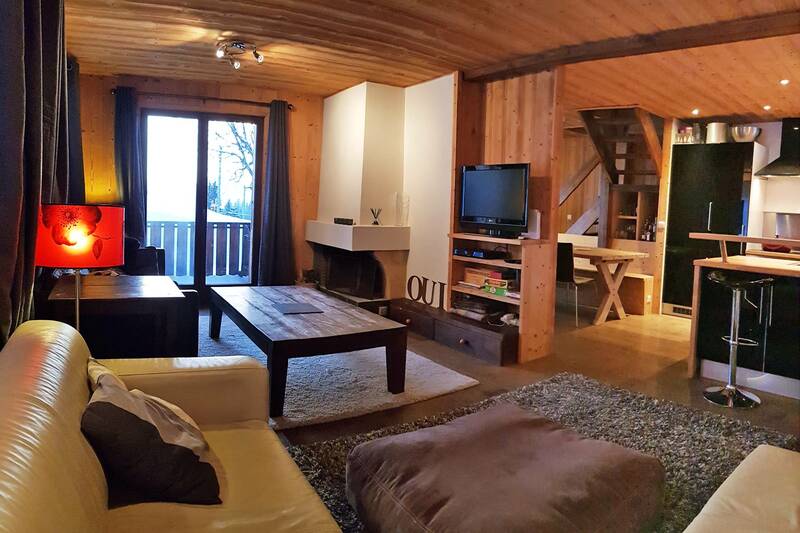 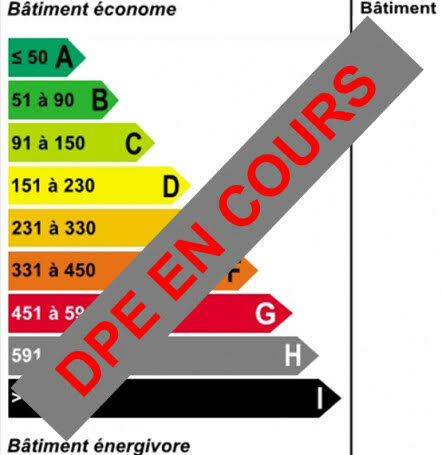 There is an open fireplace and a small balcony. 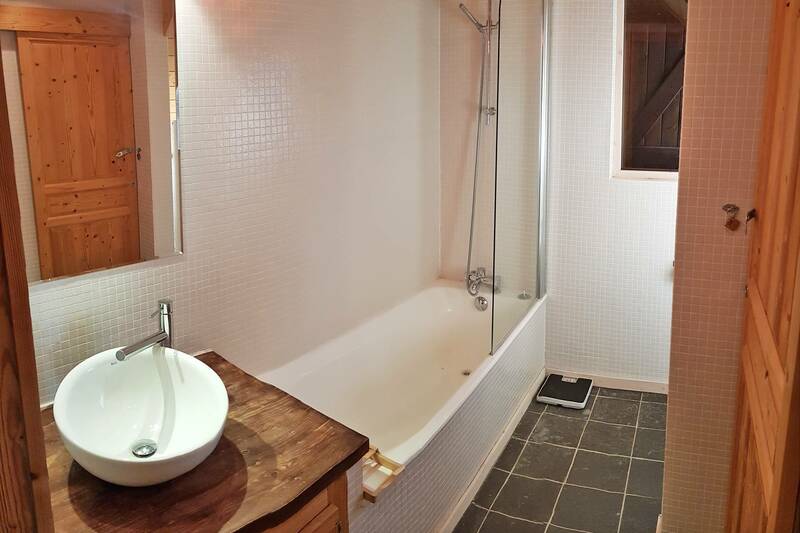 Another set of stairs leads up to two further bedrooms, each with a small ensuite.